WHAT WE DO Home remodels and top-to-bottom make-overs are our specialty. If you need a big change, you've found the interior design team that can deliver it. Venue will design a new kitchen, bathroom, living space or bedroom that is beyond what you could possible create on your own. A space that makes you feel like you're at their favorite resort or in the pages of a home decorating magazine without the hassles and headache that usually go along with remodeling. We handle it all, including: -Space Planning that will make you feel like you've added square footage to your home -Ergonomic Design that will make your home easy to use and safer -Construction Drawings that will make your contractor smile and will sail through the local building department -Budgeting before building and purchasing starts so that you have true control over how your money is spent -Color, Pattern & Texture Consulting that can re-shape the way your space looks -Bespoke, Custom-Made, Tailored & One-of-a-Kind Furnishings designed exclusively for you -Purchase and Delivery of Cabinets, Flooring, Furniture, Window Coverings, Wall Coverings, Plumbing, Tile, Bedding, Art and Accessories. WANT A HOME YOU CAN BE PROUD OF? A SANER HOME LIFE? MORE ROOM? We see past the house you have today to the home you always wanted to have, a home you are proud of. To begin, we: -Eliminate eyesores that make you cringe every time you walk in the door, -Recapture lost space that you need to make your home life more sane, -Open up congested areas making your home feel larger and more gracious, Then, we add your personality with unique furnishings and fixtures. Are you longing for custom cabinets, one-of-a-kind furnishings, bespoke window coverings, rare antiques or original art? We collaborate with the finest craftsmen to bring you the truly exclusive. THE DIFFERENCE BETWEEN A NIGHTMARE REMODEL & A SMOOTHLY RUN PROJECT And it's not just about the beautiful rooms we create. How we get there is the difference between a nightmare remodel and a smoothly run project. All of our projects are based on a comprehensive design plan, detailed construction drawings, our proprietary budgeting model and are managed with a zeal that borders on obsessive-compulsiveness. Ready to get started with a FREE, NO OBLIGATION consultation? Email Owner & Certified Interior Designer, Jackie Lopey at jackie@venueid.com or call 925-285-0815. Here at OVOLO, we strive to provide aesthetic design services to improve and give new life to homes that take into account your needs, personality, tastes, and lifestyle. We take the time to build relationships and listen to you so we can provide the personalized design solution you want and need. Our vision is to improve your quality of life through good design. Would you like to take your home design to the next level? Would you like to use your existing furniture and accessories in a better way? Would you like to have your home staged to help it sell more quickly? We will provide you a cost-effective and personalized design solution that meets your needs. Our interior decorating, design, styling, and staging services will allow you to choose a design solution that is right for you. From decorating to remodeling design to custom fine art photography, we can help you with almost any budget. No budget is too small! We have worked on bedrooms, bathrooms, kitchens, dining rooms, living rooms, and even outdoor rooms so all room types are welcome. We work not only with homeowners, but renters as well. 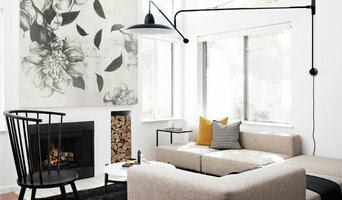 We can recommend small, non-permanent fixes to decor changes that don't involve changing wall colors or light fixtures. 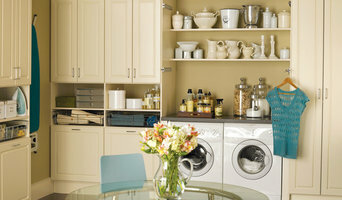 We can also recommend major changes like removing walls or adding built in cabinetry to a room. It all depends on your style, budget, and the constraints of your particular project. But we will work with you to provide you a cost-effective and personalized design solution that exceeds your expectations! With over 25 years of experience I've worked as an interior designer coast-to-coast. I bring an eye to furnishings along with a deep understanding of architectural design and construction. This includes much experience with renovations and ground up built homes too. My love of color, texture and furniture gives me no greater pleasure than to create a truly unique home for each and every client. I am also happy to work within all budget levels. My work reflects a variety of genres, from traditional to contemporary. My home was published in the San Francisco Chronicle, where Zahid Sardar noted “Sherman enjoys classical design as well as a full-tilt modernism.” I want you to love your new home and luxuriate in walking through the end results. I have been published in Dwell magazine, New York Times magazine, Interior Design magazine, San Francisco 7x7 magazine and Forbes to name a few. Interior Designers Lauren Brandwein and Sarah Ahles have formed a design studio specializing in custom residential design. Our driving design philosophy is to infuse a fresh, warm and personal style into spaces that are client focused. We take period architecture and couple it with an appreciation of the playfulness and freshness of modern design. We are an interior design and architecture firm specializing in custom residential projects for all budgets. Our experience and expertise applies to all types of projects: on smaller residential and renovation work we can produce the drawings necessary for permitting and construction, on larger commercial and new-construction projects we focus on the interiors and architecture and work with lighting designers, engineering, and landscaping teams. I am an interior designer working with a broad range of styles. I love to create soothing homes for families and dynamic commercial spaces. I am a LEED (Leadership in Energy and Environmental Design) Accredited designer with a passion for designing homes with respect to our environment and human health and well being. Full Service Interior Design Services. A well suited home is a picture of those whom live within. A landscape colored by life’s adventures and a passage from community to privacy. A place where one feels comfortable alone or with friends. This is our goal. It starts with inquiry into the daily patterns of living, to what is cherished and the elimination of the superfluous. Elegant but casual, relaxed but with a modern functionality. Larette Design has been selected to the House Beautiful list of Top Designers in America numerous times since she established her firm in the San Francisco Bay Area in 1998. Chosen as Best of Houzz Pro in multiple years. Recently launched Larette Design Floorcoverings with Donghia at the San Francisco Design Center. With over 18 years of experience, owner and principle Jean Larette has completed both contemporary and traditional projects that have been published nationwide. Jean works closely with her clients, creating timeless environments that are tailored to their individual needs, tastes, and lifestyle. Welcome to Bins & Labels! My goal is to provide you with personalized service to achieve a home or work space tailored to fit your needs. 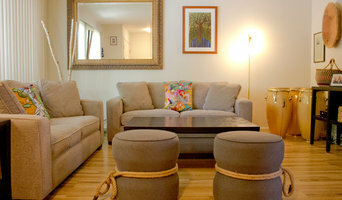 I will design and organize your living space to fit your needs and reawaken rooms with innovative style. I can accommodate your schedule and dedicate as much time as needed, provide recommendations and creative ideas for any room- with no added stress or time from you! Read testimonials from our amazing clients here: <a rel="nofollow" target="_blank" href="http://www.garagesolutions.com/testimonials/">http://www.garagesolutions.com/testimonials/</a> At Garage Solutions we find modern life already has enough complications. So we'd like to make planning your new garage a simple and enjoyable experience. That's why we never start in the garage. We start with you, your budget, time frame and wish list. Garage Solutions is a leader in the Garage Organization Industry. We assist our clients with designing solutions that best fit their needs and flow of the home. Whether creating that Rumpus Room, Exercise Room, Man Cave or just want to park your cars, Garage Solutions has a solution for you. The Art of Doing More With Less My three-step interior therapy program will cut through the clutter, get you organized, and transform your home or office. It begins with motivation - a compelling set of questions to unlock the potential for your living/workspace. Then a mindset - a customized plan to ensure your surroundings relate intelligently to who you are. Lastly, a method - sensitive when it comes to letting-go, no-nonsense getting you organized. Leaving you free to do more of what is important to you, with less. Iko Design offers a modern design perspective that is stylish, yet livable. Nikole began her design business in 2012, and has developed her modern yet eclectic design aesthetic over time. Using well coordinated color and simple accents that complement the clients needs is one of her strengths. She is a wife and mother, with ambition to make the world around her a better place. Creating beautiful places for her clients to live in, is one way that she accomplishes that goal. Colin Groth Builders is a Custom Design/Build firm specializing in sustainability, craftsmanship and high performance building. We seek to honor the craftsmen/women and quality materials of the past while looking forward, building for a lasting and sustainable future. Although every CGB project is distinct, many have the opportunity to either highlight historic details or make use of the old growth wood that is common in much of America's and especially Bay Area's housing stock. This appreciation of natural materials and reverence for old world craftsmanship are fundamental values at Colin Groth Builders. About the Owner: Having grown up in an 1821 Connecticut farmhouse, Colin Groth spent two decades alongside his family restoring their historic home. After a liberal arts education at Middlebury College in Vermont, and working abroad in Europe where he fell in love with the stonework and the historic architecture of his ancestors, he returned to New England to apprentice with stonemasons in the Berkshires and Kennebunkport, ME. Ultimately, it was building a custom timber frame home in Western Massachusetts under a master carpenter that set him on his path of craftsmanship and sustainability. In 2006, choosing between Harvard's Green Campus Initiative and a green building company in Berkeley, Colin chose to stay hands on and work in California, the state leading the growing field of sustainability. He soon became a LEED AP and then a licensed General Contractor, founding Colin Groth Builders in 2011. Colin Groth Builders continues to grow and evolve and looks forward to working with you on your custom project.